Hi Akira. thanks fr the suggestion. But it converts b into a 1x1 cell array size rather than the size I am looking into (3 x1). Actually, I have 1000X192 size size precisoin array which I am trying to convert in 1000x1 size cell array. Seems strange. By running the following, b should be 3x1 cell array. I believe the same strategy can be applicable to yoru 1000X192 array. Would you please see my question again. I edited the question. But first, I think you need to explain why you want to do that. You've good a perfectly useful array which is a lot easier to manipulate than a cell array and uses less memory. Why do you want to convert it into something else? Thanks for your help. But have you seen my edited question? Actually, I did try this way earlier. But it did not show the desired output which I have mentioned in the image I have attached later in the question. If you try your solution, you would find that, it did not look like the images I have attached. Thank you very much. From this code, I learn to pplay with num2cell. But it did not solve my problem. 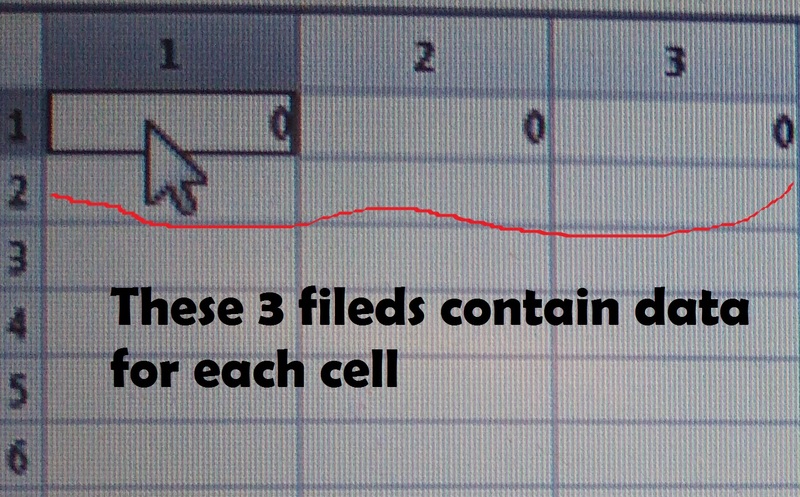 if u check the variables in the workspace you will see that it is providing 1X1 cell inside the 3x1 cell array whereas I am looking for 1X2 cell inside the 3x1 cell array. the second output is a 3x1 cell array containing 1x2 cell arrays, each cell of which contains a scalar numeric. except the b has size 3x1, not 1x3. You can easily transpose it if you want. Thanks for the suggestion. But it didnot help for me. So I have re edited my question. Could you please see the question again? Thank you for providing more details. I believe the following will do the task you explained. I am very touched that you are trying to help me. But it did not help me. If you kindly look at the first picture I uploaded, you will see that, the b will be of size 3x1(as of you) and it will contain 1x2 size of single data. which will contain the data. Sorry, I don't understand what is a problem. In my try, b becomes a 3x1 cell array and each cell contains 1x2 array with single precision. I believe this output maches what you explained. So please tell us what is a difference, or what your desired output looks like. There is no point reposting the same information that you've put in the question. It wasn't clear the first time and it still isn't. Please, read and answer the comments I've written to your question. Otherwise, you run the risk of getting people frustrated and giving up on helping you.